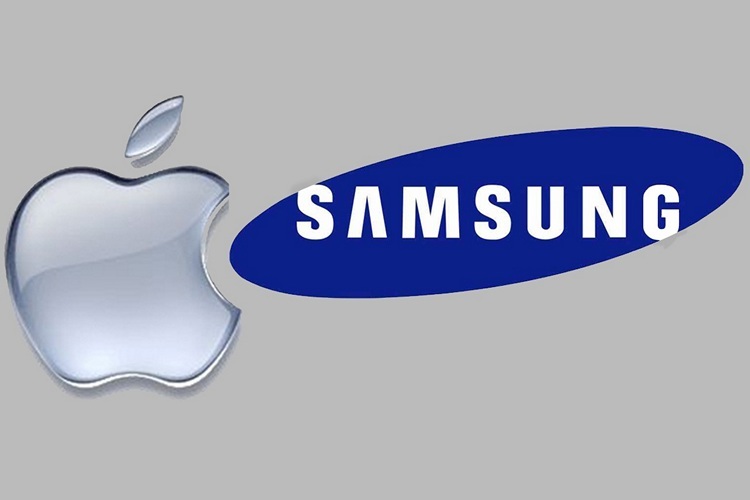 An eight-member jury in a California federal court Thursday reached a unanimous verdict in the Apple Inc. v. Samsung Electronics Co patent litigation, awarding $538 million ($538,641,656 to be precise) to the former, after agreeing that a number of Samsung smartphones from 2010 and 2011 infringed on five of Apple’s iPhone-related design and utility patents. The case began in April 2011 when the iPhone-maker sued the South Korean company for alleged infringement of its patents and trademarks. 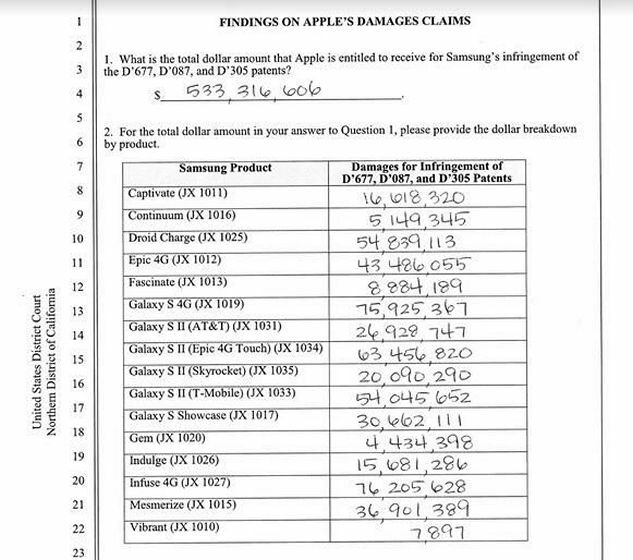 Apple won the trial in August 2012 with the jury awarding it a whopping $1.049 billion in damages, out of which, Samsung had already paid $548 million, but $399 million of that was being reconsidered in this trial. While Samsung claimed that it owed Apple only $28 million (instead of $399 million), the Cupertino giant claimed that the figure was actually around the $1 billion mark. As it turned out, the jury settled on a figure halfway between the amounts proposed by the two companies, and included $533,316,606 for infringement of the three design patents, and $5,325,050 for infringement of the two utility patents. Samsung is finding the $538 million an especially hard pill to swallow, and has since released a statement criticizing the verdict in no uncertain terms. The company has also vowed to challenge the decision in the court. On its part, Apple, as expected, seemed pleased with the outcome, and released a statement saying that the case “has always been about more than money”. According to the company, “We are grateful to the jury for their service and pleased they agree that Samsung should pay for copying our products”.